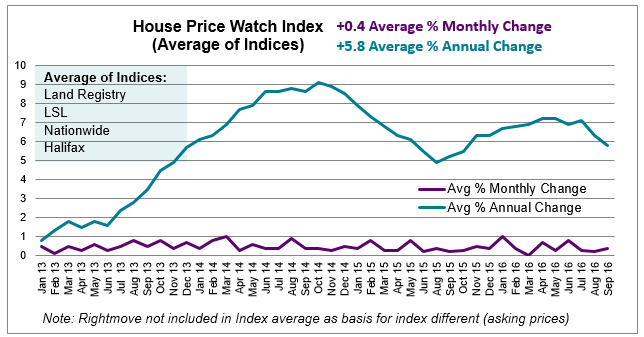 While house prices are up on average 0.4% in the past month, the pace of house price inflation continues to slow. The average annual change in house prices is 5.8% down from 7.2% in May. 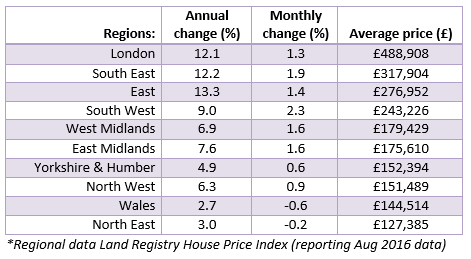 Changes in house purchase prices reported by the major indices over the past month range from a high of +1.3% to a low of 0.0% (up on average 0.4% in the past month). 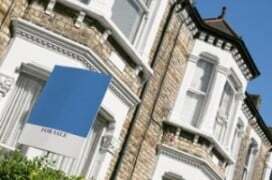 Rightmove, tracking asking prices, reports a rise in asking prices in September of 0.7%. The number of mortgage approvals for house purchases, a leading indicator of completed house sales, was down 1.4% between July and August. Approvals June-August are 11% lower than approvals June-August 2015. (Bank of England). New instructions to sell fell in August keeping the supply of homes available for sale tight and putting upward pressure on house prices (RICS). In the four quarters to Q2 2016, 139,000 new houses were completed, 38% below the projected 225,000 new households and 15% below the average rate prior to 2008 (Reported by Nationwide). However, RICS report new buyer enquiries picked up modestly in September suggesting that buyer confidence may be returning. 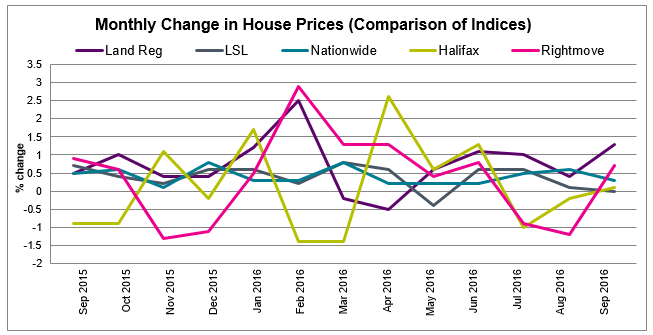 Land Registry August data indicates house prices are up in most regions. The East of England is the region experiencing the greatest annual house price growth. Prices are down in Wales and the North East.